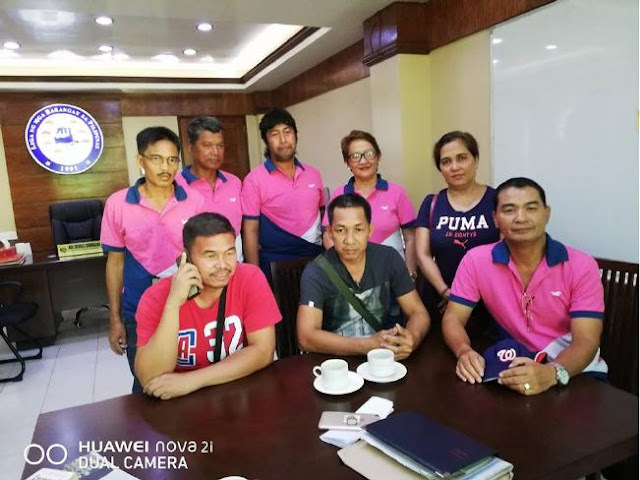 LUCENA CITY – Barangay officials of Infanta town in the so-called REINA (Real, Infanta, Gen. Nakar) areas in Quezon province’ 1st District have expressed worries and firm opposition to the ongoing road construction project of the DPWH in Sitio Kamagong, Bgy. Magsaysay in Infanta allegedly designed for the proposed dam construction project of the Metropolitan Waterworks and Sewerage System (MWSS). The president of association of barangay chairmen in Infanta and ex-officio member of its Sangguniang Bayan, Kagawad Mario ‘Lowie’ Cuento, Bgy. Chairman Nilo Lavina of Aliktas and Bgy. Chairman Marti Encina of Batican and several of his barangay officials said they are opposed to the access road being built to pave the way for the construction of a huge dam of the MWSS which could trigger flashflood to their town in the event a natural calamity such as an earthquake occurs. “Ginagawa nila yang access road para sa Kaliwa dam project pero ang sinasabi nila para daw idebelop ang isang tourist site sa Tinapak Falls sa parteng Tanay, Rizal at di kami naniniwala,” said Cuento in an exclusive media interview on Tuesday (Nov. 6) at the office of provincial federation president of the association of barangay chairmen and ex-officio member of the Sangguniang Panglalawigan of Quezon Ireneo ‘Boyong’ Boongaling here. Cuento was accompanied by Lavina and Encina along with the latter’s several barangay officials to consult with Boongaling on the controversial issue which has already caught the attention of the national media like the ABS-CBN news patrol. Cuento, Lavina and Encina were one in saying that the construction of the access road would affect the irrigation canal of their ricefields and about 2,000 hectares of ricelands in Infanta would suffer massive flooding if the proposed dam construction is pushed through and there is some defects in its construction. “Pag nabuwag ang bundok ang takbo ng tubig ay sa Infanta at marami ang buhay ang masisira,” said Lavina who recalled the 2004 flashflood in the REINA areas which killed thousands of residents and caused massive destruction to properties and agricultural products. They expressed hope that good geodetic and structural engineers are used to build strong walls to prevent landslides if the dam project could not be thwarted by the local governments of Infanta, Real and Gen. Nakar. The trio said that only the Sang. Bayan of Infanta has passed a resolution denying the endorsement of the dam project while Real and Gen. Nakar have already given approval for its construction. A study called Impacts of the New Centennial Water Source – Kaliwa Dam Project showed that there are proposed 9 dams to be established in the area namely: Laiban Dam, Laiban Low Dam, Kaliwa Low Dam No. 1, Kaliwa Low Dam No. 2, Kanan No. 1 Dam, Kanan No. 2 Dam, Kanan B1 Dam, Kanan Low Dam and Agos Dam. A revised position paper of Infanta on the MWSS New Centennial Water Source- Kaliwa Dam Project said that there is a segment of the Phil. Fault Zone (PFZ) which traverses Infanta from Gen. Nakar-Bgy. Magsaysay and Bgy. Gumian – and Real town and the proposed Kaliwa Dam site is located approximately 16.54 kms. southwest of the faultline and any tremor generated by the Infanta segment of the PFZ will be felt in the site of the proposed dam. It said that earthquakes of high magnitude from the Infanta segment of the PFZ or other faults could result to the damage of Kaliwa dam or its collapse which may result to catastrophic flashfloods and the washout or devastation of Infanta delta. A research study conducted by Dr. Leonila Bautista of PHIVOLCS bared that Infanta has experienced a 7.6 magnitude earthquake on July 18,1880 which devastated the concrete church build by Franciscan friars. It said that the earthquake demonstrates a parent-child relationship which means that if it happened in 1880 it could happen again any time in the same area. The Sang. Bayan of Infanta has already passed a resolution on Oct. 8 requesting DENR Sec. Roy Cimatu to conduct an immediate investigation and necessary action on the ongoing construction of access road in Sitio Kamagong, Km. 92 in Bgy. Magsaysay. The resolution, signed by Mayor Filipina Grace America and vice mayor and SB presiding officer Noli Villamor, stressed that the area has been declared in 1977 as a National Park, Wildlife Sanctuary and Game Preserve. Last Oct. 22, Oscar Catilo, a member of the Protected Area Management Board covering 11 bgys. of Gen. Nakar, 2 bgys. of Infanta, 19 bgys. of Real and 1 bgy. of Sta. Maria, Rizal denounced at the regular session of the Sang. 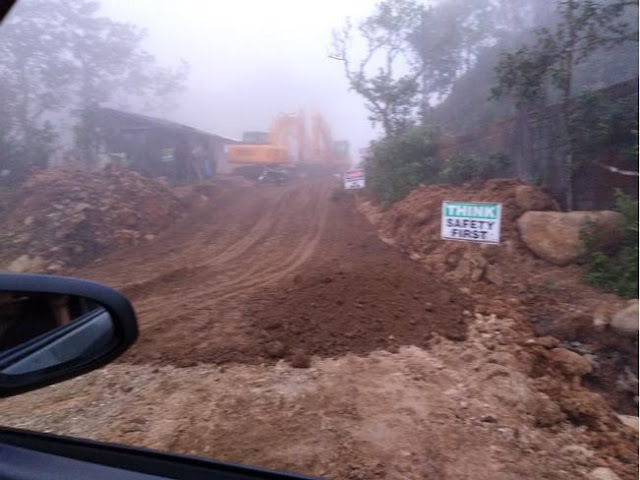 Panglalawigan (SP) the ongoing construction of the access road using a bulldozer and other heavy equipment. 1st district SP board members Aileen Buan had talked with Catilo and vowed to investigate the matter. The DPWH ongoing construction of access road in Sitio Kamagong, Km. 92, Bgy. Magsaysay, Infanta town.